Professor Deepak Kumar Behera is currently The Vice Chancellor of Sambalpur University. He served as the Vice Chancellor of Berhampur University, Odisha from 1st August 2013 to 31st July 2016. Berhampur University became the first state-funded University in Odisha to secure �A� Grade by NAAC under the leadership of Professor Behera. He was a former Professor and the Head of the Department of Anthropology, Sambalpur University, India. Professor Behera was a Fulbright Visiting Scholar at California State University at Long Beach during the Fall semester 2007-08. As a Fulbright scholar, he taught a course titled, �Childhood in a Changing Context (With Special Reference to South Asia)� to the graduate students of Department of Human Development of the University. As the recipient of DAAD fellowship, Professor Behera was a Guest Professor at Karl Ebrahd University, Tubingen, Germany during April-July 2013. He was also a Visiting Professor in the Dept. of History and Area Studies, Aarhus University, Denmark (2011), Dept. of Anthropology, University of Free State, Bloemfontein, South Africa (2001, 2003), Dept. of Anthropology, University of Durban-Westville, Durban, South Africa (2001), Institute of Psychology, Federal University of Rio de Janeiro, Brazil (2004) and Maison des Sciences de L�Homme, Paris and CNRS-EHESS, Toulouse, France (2006). He was the recipients of Carlos Chaga Foundation Fellowship, Brazil, National Research Foundation Fellowship, Republic of South Africa, German Research Council, Germany, Indo-French Fellowship, India/France, Indo-Israel Fellowship, India/Israel. Professor Behera was the recipient of the prestigious Sarat Chandra Roy Memorial Gold Medal by Asiatic Society, Kolkata (the oldest educational institution in Asia) for his outstanding contribution in the field of cultural anthropology in India for the year 2016 (Award received in 2017). Professor Behera has visited more than 25 countries through 40 overseas tours in different academic connections. He has to his credit more than 100 research publications in reputed journals and edited volumes. Most of his publications are in the fields of �tribal studies� and �children and childhood�. Of the twenty-two volumes authored/edited by Professor Behera, eight published volumes of the series Contemporary Society: Tribal Studies (Concept Publishing Company, New Delhi) are jointly with Professor Georg Pfeffer of Institute of Ethnology of Free University of Berlin, Germany. Some of the special issue of the journals/volumes edited by Professor Behera in the field of children and childhood are: Extending Ethnographic Research with Children in the Asia Pacific Region (Guest Editor, Special Issue of The Asia Pacific Journal of Anthropology, 12 (5), November 2011 (Routledge) (jointly with Professor Roxana Waterson of the Dept. of Sociology, National University of Singapore), Childhoods in South Asia (Pearson Education, New Delhi, 2007), Children and Youth in the Metropolitan Cultures (Guest Editor, Special Issue of the International Journal of Anthropology, Springer, Florence, June 2001, jointly with Professor Margaret Trawick of Massey University of New Zealand), Children and Young People in Changing Contexts, Special Issue of International Journal of Anthropology 18 (3), 2003. (jointly with Professor C. Blanc, Dr. A.L. Bebi and Dr. S. De Macro) Children and Youth in a Changing World, Special issue of the Journal, The Oriental Anthropologist, 14 (2), (July-December, 2014, jointly with Professor Spyros Spyrou, Cyprus, Dr. Andrea Luithle-Hardenberg, Germany, Dr. Gabriele Alex, Germany). Public Images of Children (Guest Editor, Special Issue of Journal of Social Sciences, New Delhi, 1999), Children and Childhood in Contemporary Societies (Kamla-Raj Enterprise, New Delhi, 1998), Contemporary Society: Childhood and Complex Order (Manak Publication, New Delhi, 1996) (jointly with Professor Georg Pfeffer of Institute of Ethnology of Free University of Berlin, Germany). He was instrumental in signing of seven numbers of MoUs by Sambalpur University with overseas Universities and seven other MoUs by Berhampur University with Overseas and Indian Universities/Institutes. Professor Behera has successfully completed more than a dozen research projects funded by University Grant Commission, New Delhi, Indian Council of Social Science Research, New Delhi, Ministry of Welfare, New Delhi, Winrock International, Indo-Canadian Shastri Foundation, WHO, German Research Council, etc. Professor Behera had delivered invited lecturers at Hebrew University of Jerusalem, Israel, Tel Aviv University, Israel, University of Orange Free State, South Africa, University of Durban West-Ville, South Africa, University of California at Santa Cruz, University of Illinois at Chicago, University of Utah, Logan (famous Brownbag Lecture), University of Arizona, Tucson, USA, INNSO, UANL, Monterrey, Mexico, etc. He also delivered the prestigious Jubilee lecture (Anthropology Section) in the 100th Science Congress held at Calcutta University in January 2013. He was the editor of the Journal of Social Sciences (New Delhi) during 1997-2002. Professor Behera served as a member of the Executive Board of World Anthropology Association (International Union of Anthropological and Ethnological Sciences, IUAES) for two consecutive terms, i.e. for the period 1998-2009. He is the founding Chairman of the IUAES International Commission on Children, Youth and Childhood. As the Chairperson of the international commission, he has organized more than a dozen panels and sessions relating to children and youth in different international conferences and symposia. 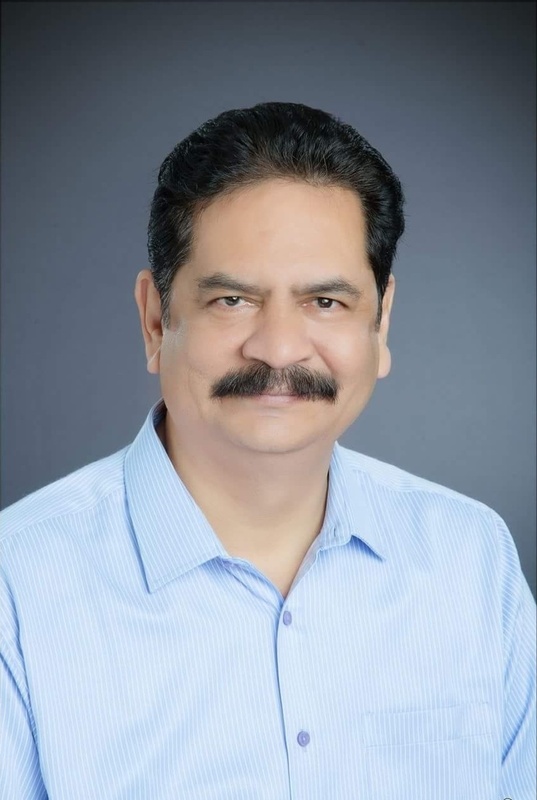 He was the chief organizer of the IUAES Inter-congress (international conference) on �Children and Youth in a Changing World� held in Bhubaneswar in 2012 which was attended by more than 300 overseas participants from 47 different countries. Professor Behera was also the Officer-at-Large of the International Sociological Association Research Committee-53 (Sociology of Childhood) for the session 1998-2006. Professor Behera is in the Advisory Board of the Centre for India Study at Aarhus University, Denmark. He is at present serving as a member of the Advisory Committee of the Indian Council of Social Science Research, Eastern Regional Centre, Kolkata. He was the founder Coordinator of the MSW program of Sambalpur University. He was the Director-in-Charge of the �UGC Centre for the Study of Social Exclusion and Inclusive Studies�. He is also a member of the Editorial Board of the Indian Journals: Oriental Anthropology, Social Change and Journal of Social Sciences. Under the initiative of Professor Behera, some students from Sambalpur University went to different European Universities for perusing their studies for a semester under �Study Abroad Program of Erasmus Mundus Action 2�. He was also instrumental in bringing some overseas students for their study at Sambalpur University. Eighteen scholars have received their doctoral degree and one her post-doctoral degree working under the supervision of Professor Behera.